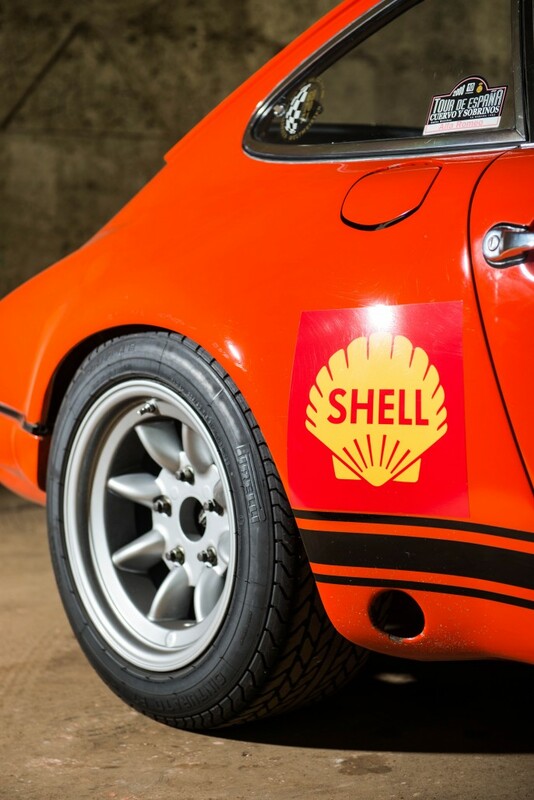 In 1970 new FIA rules allowed the wheel arches of the 911 to be flared a further 2 inches from standard to accommodate wider wheels, whilst the engine capacity was increased in multiple stages; initially 2195cc, then 2247cc, by which time a twin-ignition system had also been homologated. 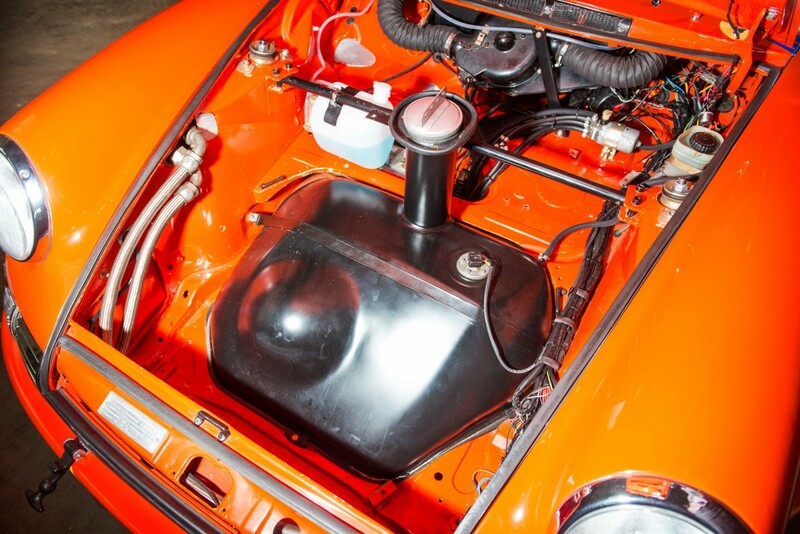 Mechanical fuel injection was added, the pump being modified with a space cam to match the Carrera 6 racing cams that were installed. 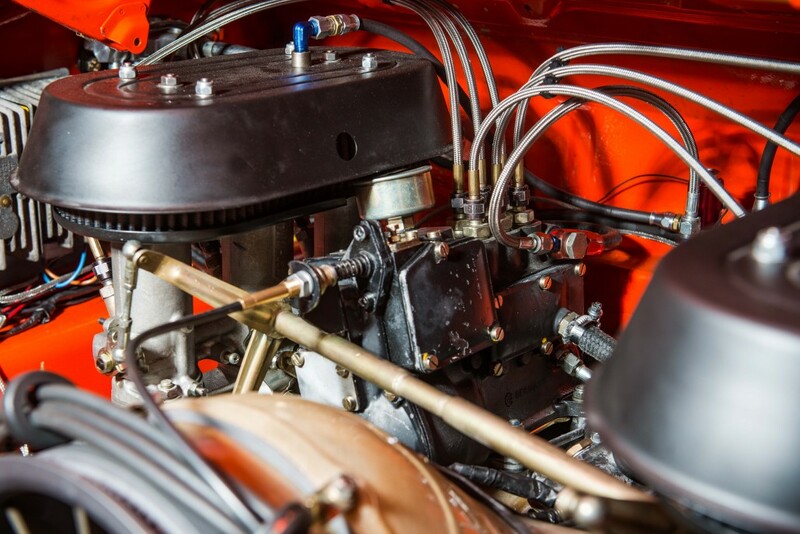 For the 20 cars built to take these engines, the roofs, parts of the floor pans and the scuttles were made in thinner gauge steel than used in the road cars. 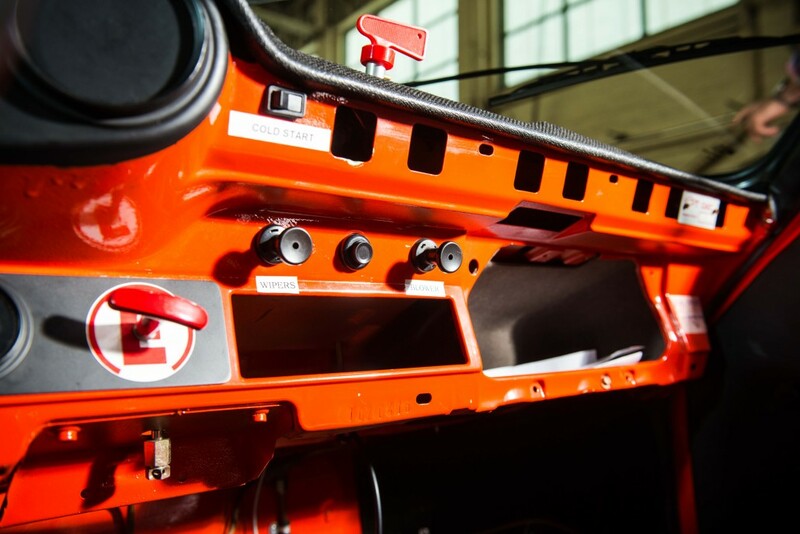 Cars retained and run by the Factory also enjoyed thinner steel in their doors. 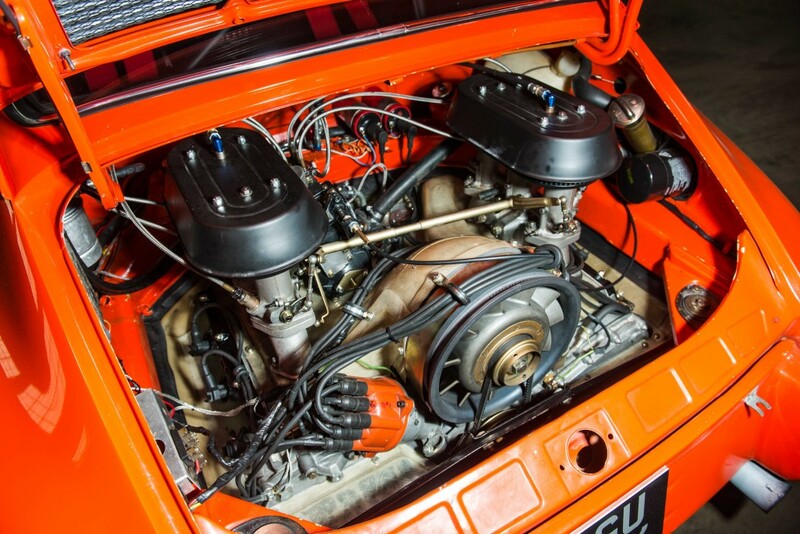 In March 1971, the cylinder bores were opened up even further, increasing capacity to 2381cc. 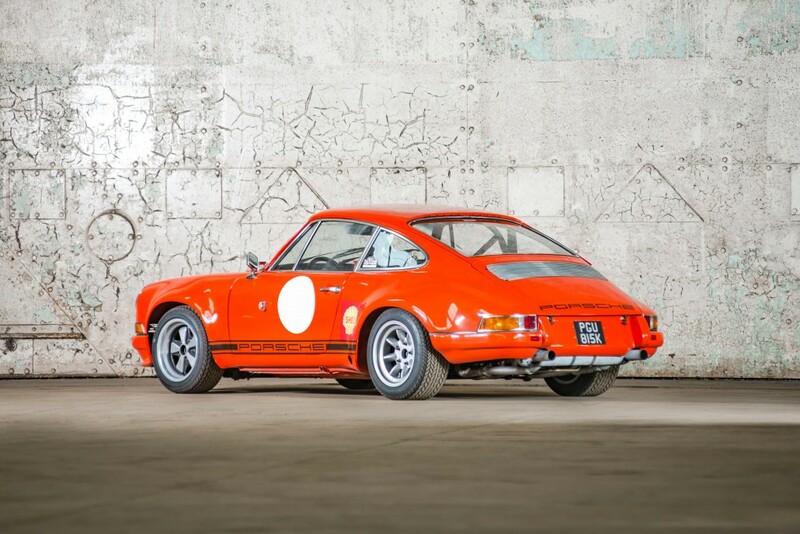 These racing versions of the 911 were known internally as the S/T. 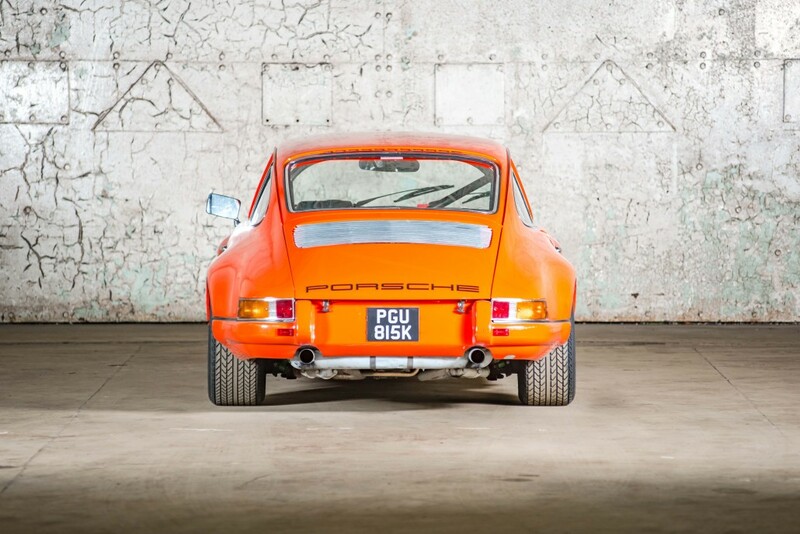 To lose weight further options from the Factory included a fibreglass boot lid as well as front and rear bumpers. Plexi-glass was available to replace all glass, except for the wind-screen which could be ordered with even thinner glass. 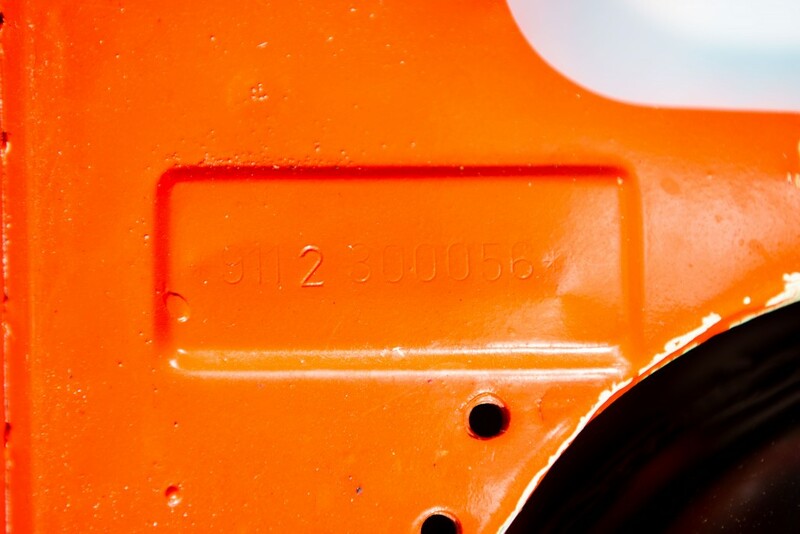 A transverse bar was fitted in the front compartment between the front struts to aid stiffness in this area, and fuel tanks of 17.6 or 24.2 gallons were available. 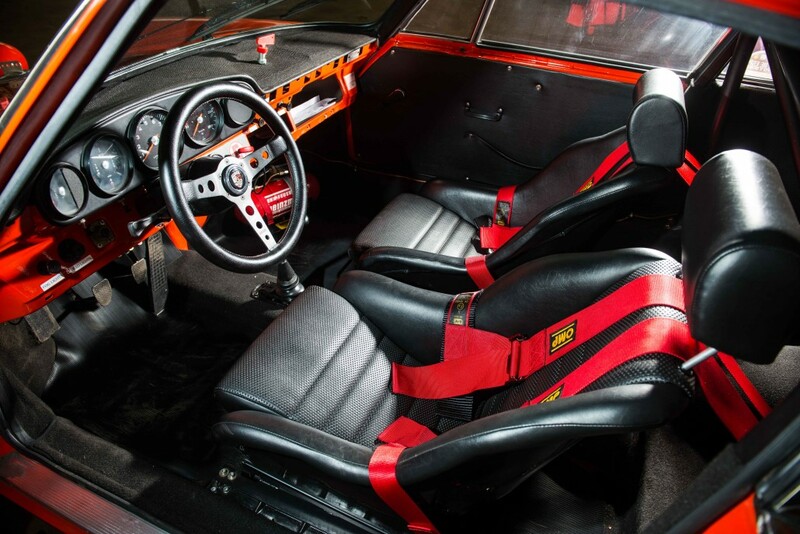 The whole racing package was finished off with Recaro racing seats. 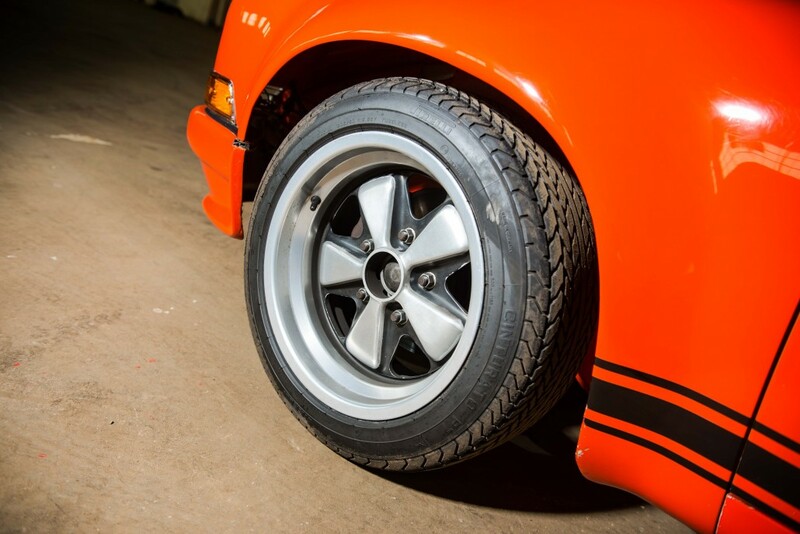 Delivered new to Peter Mezel the Canadian VW & Porsche importer with a Limited Slip Diff and factory roll Bar. 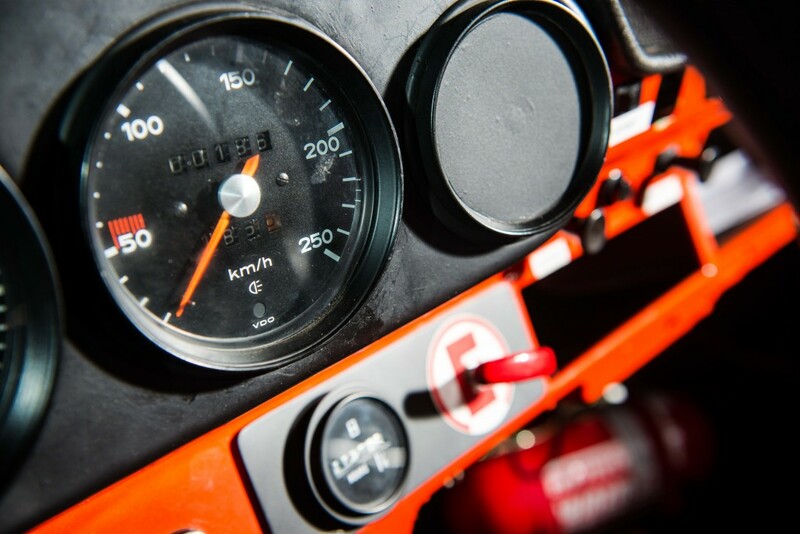 Unregistered for the first year or so and used as a demonstrator/rally car. Purchased by Al Siegel and registered to his company. 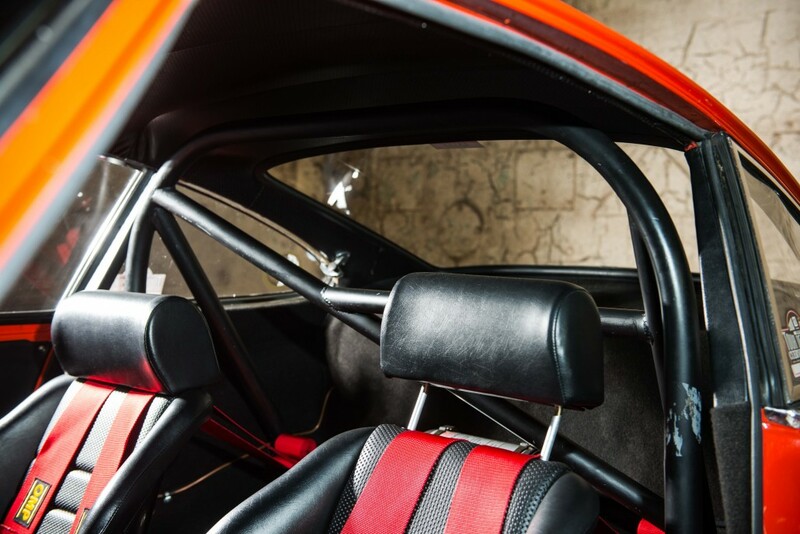 He converted the car into IROC RS spec in 1973 using parts purchased from the Byztek brothers and raced it locally in Canada. 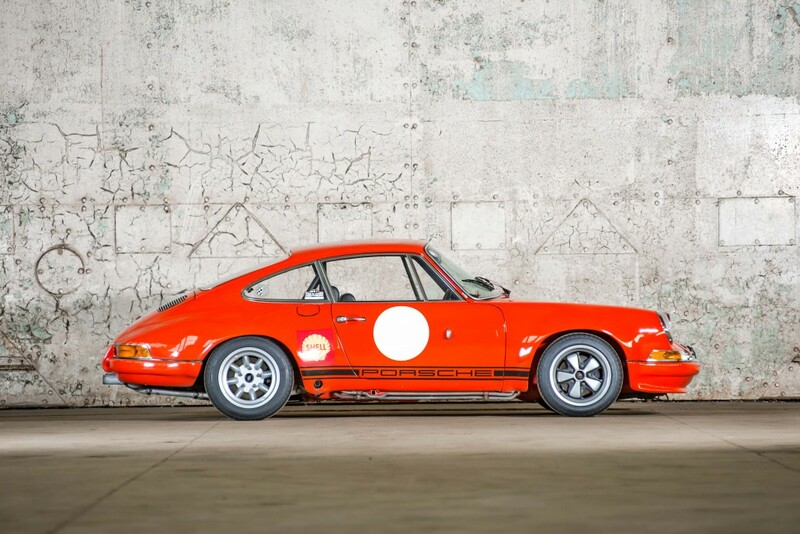 He died in a plane crash in the early-mid 80s and the car was later purchased by Herman Lausberg in the early 90s after it was in storage for many years. 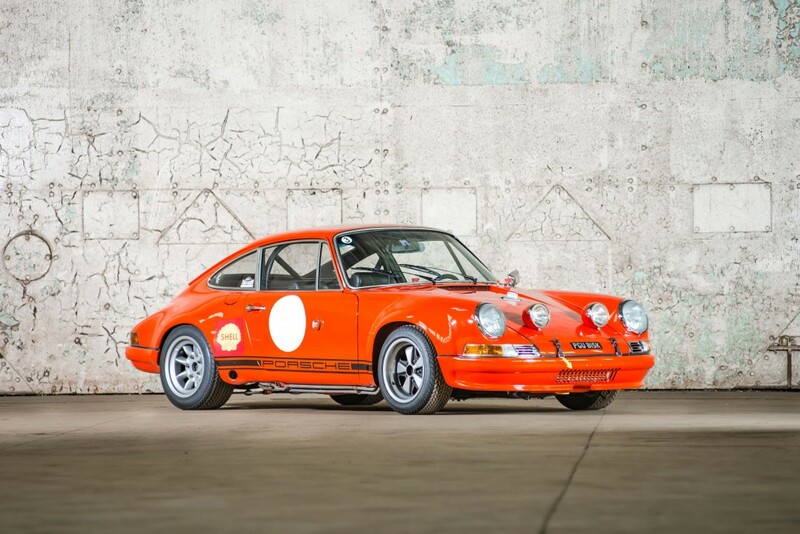 Herman Lausberg restored and modified it into its current S/T guise using genuine factory S/T wings and fitted a 2.5ltr engine. 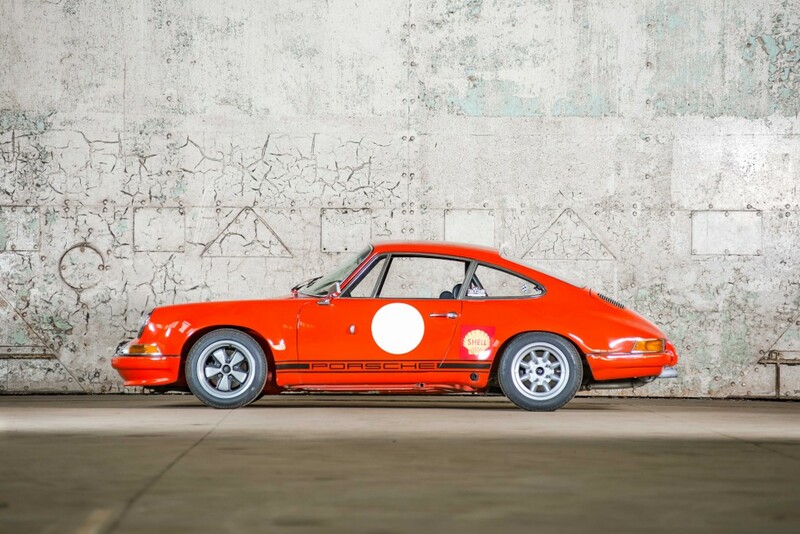 It eventually found its way to America in 2005, and was even taken Europe to compete in the Tour d’Espana in 2008, before being sold to Switzerland in 2014. 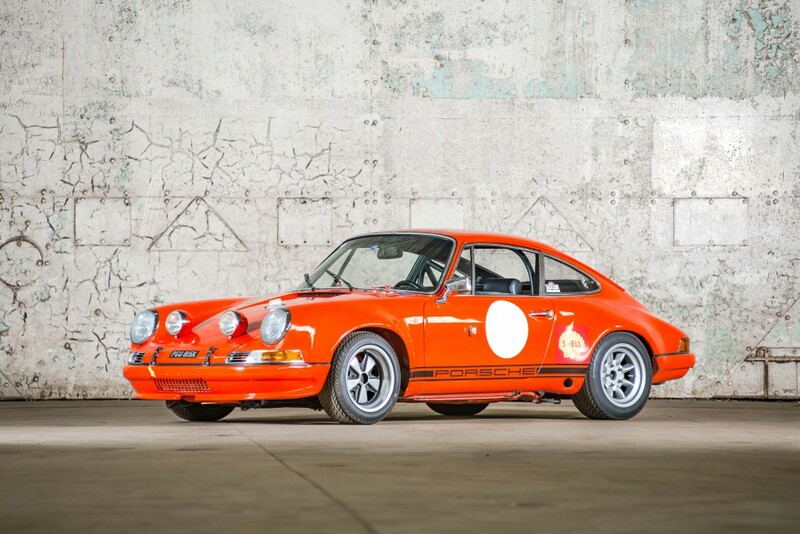 The current owner acquired the car in 2016 via a specialist in America with a view to use the car in Road Regularity events such as the Tour Auto. 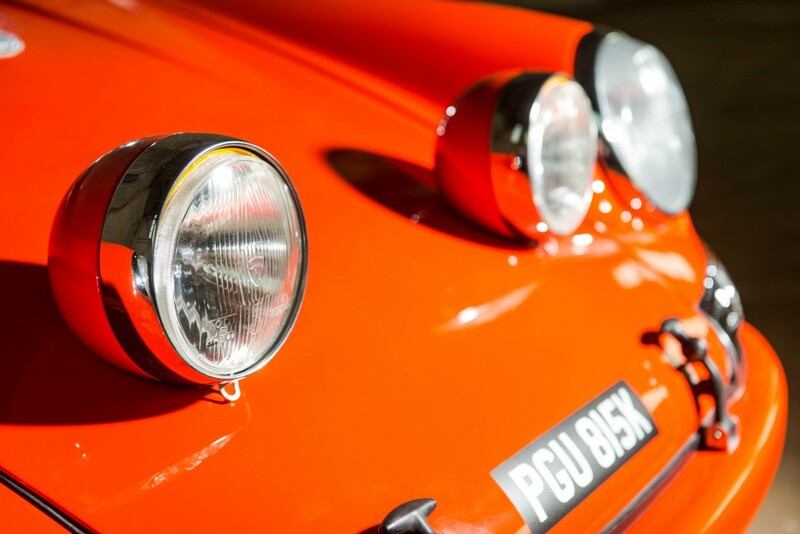 Over time the car has been updated and restored into its current specification. 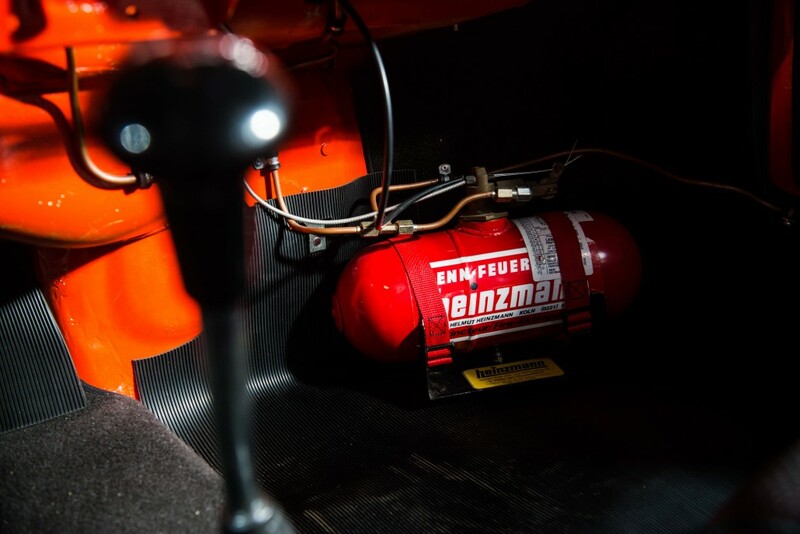 Currently the car is fitted with original FIA GR4 S/T steel flares both front and rear, original factory roll bar, 85-liter fuel tank, Hienzemann fire extinguishing system, and fiberglass boot lid, front bumper and rear bumper. 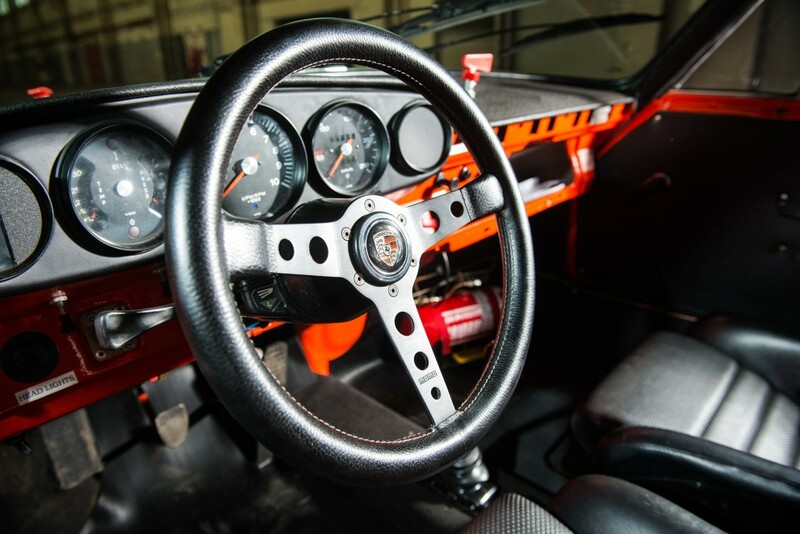 Mechanically the car is fitted with a type 915/02 gearbox with “Nurburgring” gears. 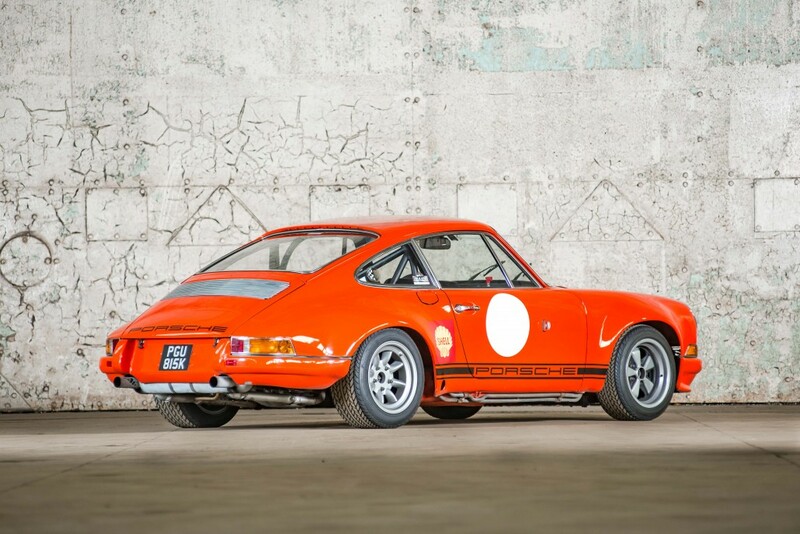 The engine was rebuilt by Rennwerke Porsche Specialists, NY using a 3.0 liter crankcase fitted with MFI High Butterfly Injection and Bosch Twin Plug ignition. 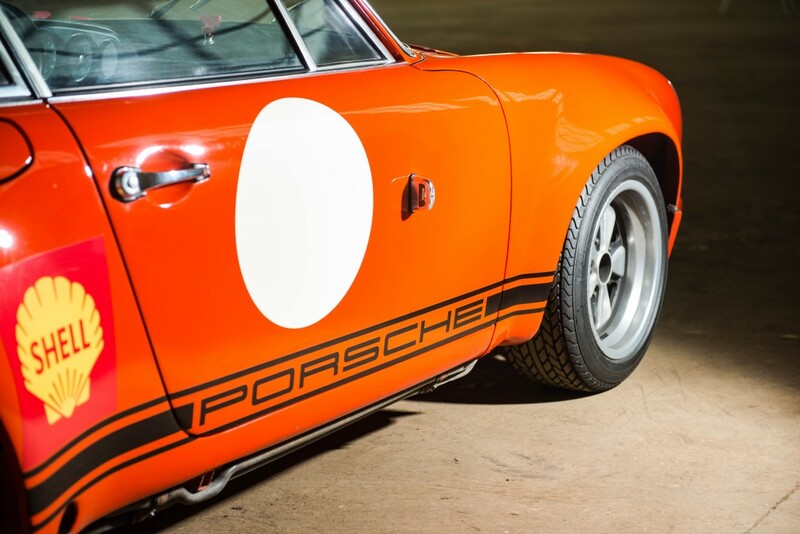 In 2017 the car underwent a full recommission by the UK’s leading racing Porsche specialists, Prill Porsche Classics, with all the modern US racing modifications removed and the car returned to its correct early specification, done with a view to make the car perfectly useable on both road and track, much as it would have been in the early 70’s. 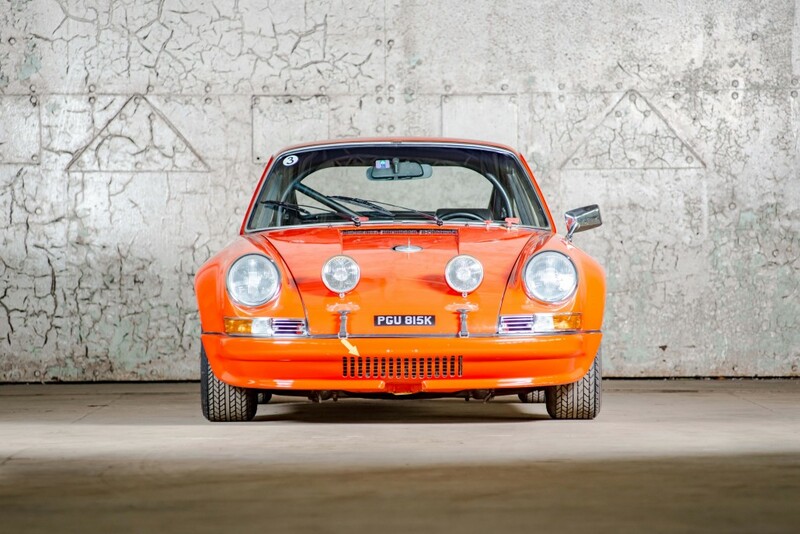 Many Porsche road cars have been modified to racing specification to compete in modern race/rally events , but very few such cars have a provenance spanning several decades.